Groomers all over the country are tightening their policies and asking for updated vaccines for your pet. But why do groomers ask for shot records and what preventative medicines are they looking for? Here’s an inside look at what pet care professionals are thinking. The transition from summer to fall is a favorite time of year for many…lower temperatures, football, and, of course, pumpkin spice. It’s also the favorite time of year of our not so close friend, the flea. As last week marked the kickoff to football season, so does it mark the kickoff to flea season. Booooo!!! Did you know that we fight a $4 Billion war on fleas? Here’s some information and ways to help you win this yearly battle. Fleas thrive when the temperature is between 65-80 degrees and with low humidity. Most pet owners assume that fleas start to die off when temps cool. Groomers and vets agree that this assumption is what leads to an infestation when the pet owner stops giving the preventative treatments. Once fleas have found a happy home, it becomes extremely difficult to eliminate them completely. With the thousands of choices of pet shampoos on the market, it still surprises me how many people ask for Oatmeal shampoo or use Dawn Dish Detergent when bathing their pet. 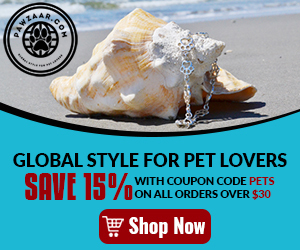 Being a Professional Groomer and also a Shampoo Distributor, I thought it was time to provide pet owners with all of the options to choose from to help make a more customized shampoo purchase for your pet. The first decision you need to make when purchasing pet shampoo is whether or not you want a natural product or a chemical based one. There are pros and cons for both so you need to decide which is best for you. Cons – your pet will not smell like the bottle for very long. They will smell clean and fresh but not like “berries” for weeks afterwards. Like human made products, All-Natural does not necessarily mean natural. Look at the ingredients – if you can pronounce it, its natural. Also keep in mind the term Organic could be a farce as well. Organic products must be listed with a percentage of organic ingredients. For example, Tea Tree Oil (75%). No percentage in the ingredients? Not Organic. Need an Indian Headdress? Jump on Amazon.com and in a couple of clicks, 2 days of shipping – bam! Want to know how much money Kim Kardashian makes per tweet? Simple! Do a Google search and the answer is there within 45 seconds. Your dog needs a grooming appointment? Call the groomer… <insert screeching breaks sound>…….“Your first available is in 3 weeks?? ?” Oh boy. The service industry is having a huge problem right now when it comes to scheduling appointments and the needs and desires of its clientele. Too often, clients cannot break away from the mindset of instant gratification – dog needs haircut, I’m free right now, groomer takes dog. This is not likely. Frustration from both parties abound as the capabilities of the service provider are different than the needs of those demanding the service. You are sitting on the couch and you smell something stinky. You look around, sniff your shirt and then you see it! Your beautiful pooch, gazing in your eyes, tongue hanging out, waiting for a loving scratch on her ears. Oh my – Bath Time! Whether you use a Self Service Dog Wash, your personal bath tub or garden hose, there is a proper way to give your dog a bath. It sounds simple enough but there are many mistakes pet owners make that causes more harm to your pet’s skin and coat. Following these steps will prevent any unintentional problems. Oatmeal is not always the answer. There are many pet products on the market nowadays that treat various skin ailments and coat conditions. You want to purchase a natural product unless otherwise instructed by your veterinarian. Pet store employees are very knowledgeable but local groomers will know best. Contact a groomer in your area, describe your pet and they will be happy to guide you in the right direction.